Scrooge makes a welcome return to Aberdeen HMT from Monday 15 November to Saturday 20 November 2010. Scrooge the Musical starts at 7:30pm each night. This is the second time that Scrooge the Musical has come to His Majesty's Theatre Aberdeen and veteran entertainer Tommy Steele stars as Scrooge. Tommy Steele has been entertaining thousands in this role at the London Palladium. Fans of the Harry Potter films will recognise the name of the special illusions creator who is the magician Paul Kieve. Discounts at Scrooge Aberdeen include money off the opening night and a free ticket to Scrooge the Musical when booking for a party of over 15. Information on how to book a ticket to Scrooge Aberdeen can be found on the Aberdeen Box Office page. Theatre producer Bill Kenwright, the man behind highly successful productions like Blood Brothers, Hay Fever, Whistle Down The Wind, The Crucible, Joseph And The Amazing Technicolour Dereamcoat, The Hollow and This Is Elvis brings Scrooge to Aberdeen - so you know you are in for an enjoyable night's entertainment. The award-winning production writer for Scrooge The Musical is Leslie Bricusse who was the lyricist and executive producer in the original 1970 TV musical Scrooge which starred Albert Finney as Scrooge, Alec Guinness as the ghost of Jacob Marley, Laurence Naismith as Mr Fezziwig, David Collings as Bob Cratchit and Richard Beaumont as Tiny Tim. Scrooge The Musical is directed by Bob Tomson who was the director on television programmes Brookside and The Bill. The designer is Paul Farnsworth who worked on The Mysti Show. This heartwarming story will warm the dourest of Aberdonian's hearts in the build up to Christmas. 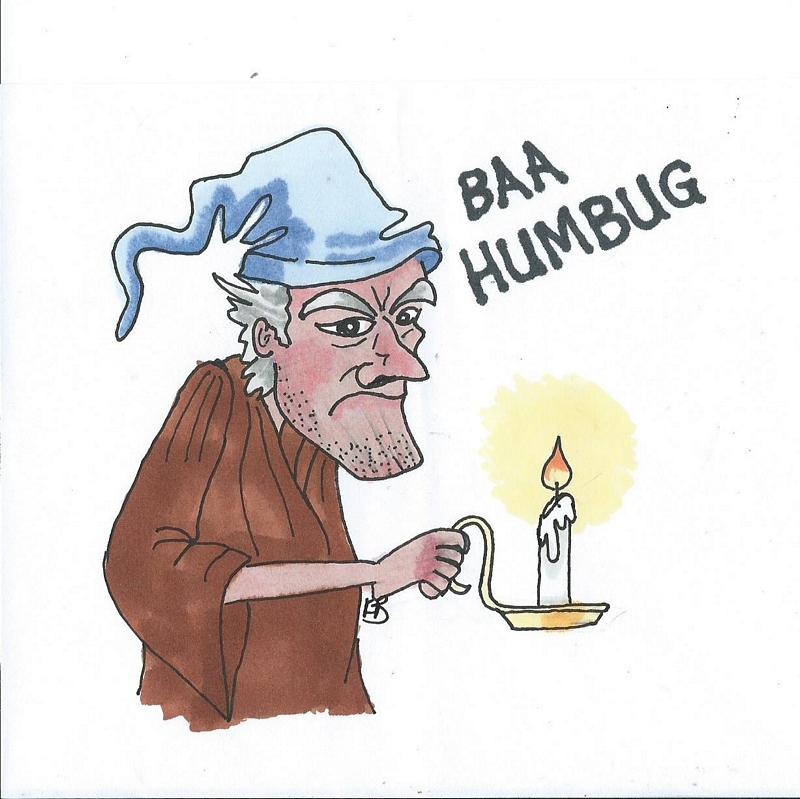 Scrooge is the tale of a miser called Ebenezer Scrooge who is visited by the ghosts of Christmas past, present and future and gains the opportunity to mend his miserly ways amongst some classic Victorian Dickensian characters. Events take place on Christmas Eve and are brought to life on the stage of His Majesty's Theatre (HMT) Aberdeen. The novella was first published on 17 December in 1843 as A Christmas Carol in Prose, Being A Ghost Story of Christmas in Charles Dickens' Little Christmas Book". The writer wrote the story to pay off debts and didn't expect its run away success - it sold over 6000 editions in the first week. Photos and pictures: Awaiting Upload. Visit the official Scrooge The Musical website at www.scroogethemusical.co.uk where you can buy a copy of the 2005 performance CD. During the centenary year of 2006 at HMT His Majesty's Theatre and to celebrate over 100 years of stunning performances since 1906 the team at Aberdeen's much loved theatre have secured the magical song and dance performance of Scrooge based on the book A Christmas Carol by Charles Dickens. It will be timely performed in the weeks leading up to Christmas, with the first performance on Tuesday 21 November. The last performance of Scrooge will take place on Saturday 2 December. The actor and celebrity who will play the lead, Ebenezer Scrooge, is Michael Barrymore who acted in Bob Martin, Kids Say the Funniest Things, Strike It Lucky, My Kind Of Music and the 2006 Celebrity Big Brother 4. Local lad Liam Jamieson plays Tiny Tim. Nine year old Liam is part of the Stagecoach Theatre Group. In 2005 musical and actor veteran Tommy Steel was the lead during the run at the London Palladium. The production was highly acclaimed for its high quality period costumes, scenery and sets. This West End performance was a sell out so do book your tickets early. There is a �5 discount on each ticket for a child and discounts available for concession tickets. Scrooge The Musical lasts approximately 2 hour 35 minutes which will include an interval. The effects team include Paul Kieve who was an illusionist in the Harry Potter and the Prisoner of Azkaban film and has worked with magicians Derren Brown and David Copperfield.